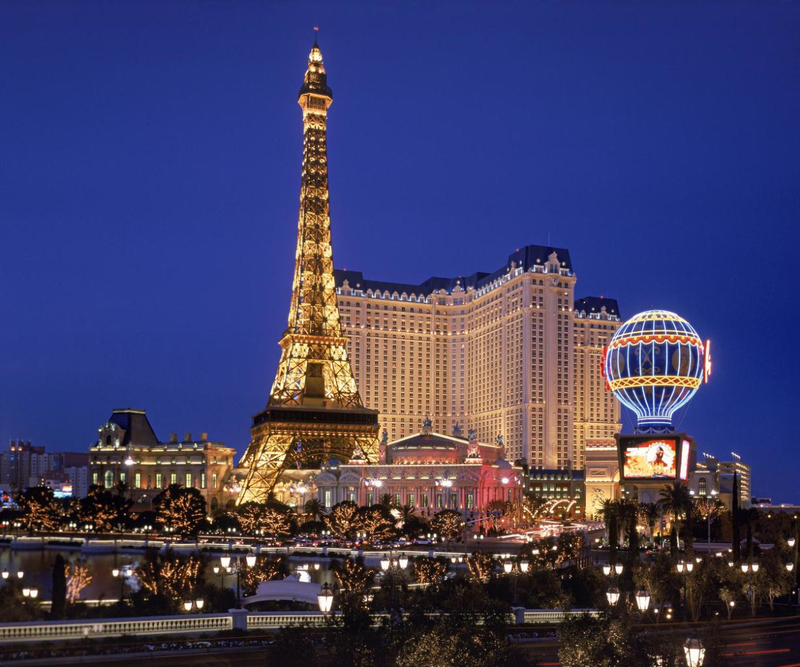 Two of the world's most exciting cities combine to create the Paris Las Vegas hotel and casino, a vacation destination that's full of romance, adventure and extraordinary dining. In this version of the City of Light, you can hit the highlights in no time. As part of its architecture, the resort has detailed replicas of the Arc de Triomphe, Louvre façade, Paris Opera House and Hotel de Ville. And you certainly can't miss the 50-story, half-scale replica of the Eiffel Tower, now one of Las Vegas' most famous landmarks. Ride with the elevator operator/tour guide to the tower's top-floor observation deck, where you can see practically all of Las Vegas. On the way down, at the 11th floor, the Eiffel Tower Restaurant serves up a dining experience you'll never forget, including breathtaking views of the Strip and mouthwatering cuisine from France. At the base of the tower lies an expansive casino, whose theme features fountains, statues and vaulted ceilings. A cobblestone path lined with wrought-iron streetlamps guides you around the tables and slots, poker room, as well as over to the race and sports book. Down Le Boulevard is the shopping district, where strolling mimes and bicycling bread men roam the store-lined village streets, and the statues come to life. Here's the place to buy a Vegas-style souvenir from Paris - or a little something at one of the boutiques. You'll find it hard to pass by the aromas coming from an authentic French bakery (JJ Boulangerie) and bistro (Le Creperie). The resort has many more dining options including Gordon Ramsay Steak, Mon Ami Gabi, where you can dine on the amazing steak frites al fresco along the heart of the Las Vegas Strip, Burger Brasserie featuring sumptuous creative burgers, and an expansive buffet. For your sweetheart, or sweet tooth, check out Hexx Kitchen & Bar which has a 24 hour café, along with watching authentic chocolate making. 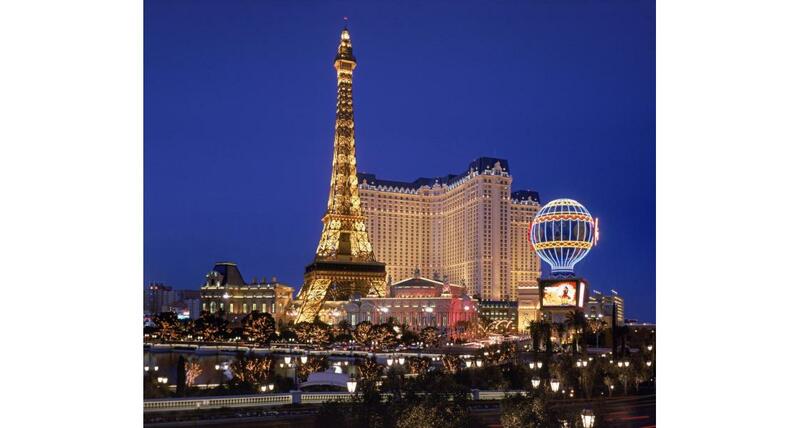 The night is always young in Paris Las Vegas, and there is an exciting way to spend it - wisely or otherwise. Dance the night away at Chateau Nightclub which features an expansive dance floor, outdoor beer garden, 180 degree Strip views, and a private outdoor rooftop garden, under the Eiffel Tower! Come bedtime, the 2,900 rooms are all spacious and finely appointed, and the suites that much more, with custom furnishings and marble bathrooms. Hotel amenities include a wedding chapel, business center, swimming pool, fitness center.